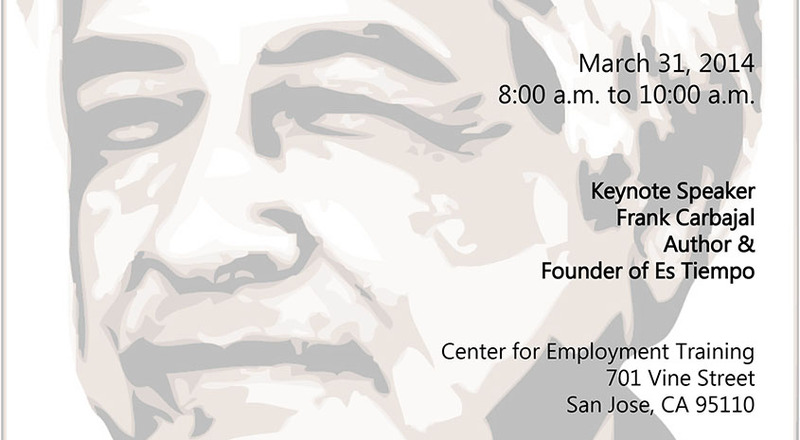 Please join Chavez Family Vision, Inc. in celebrating the thirteenth annual Césár Chávez commemorative breakfast. The breakfast will take place on March 31st, 2014 from 8 am to 10 am at the Center for Employment Training – 701 Vine St., San Jose, CA 95110. All proceeds will go to the Césár E. Chávez Scholarship Fund. The keynote speaker will be Frank Carbajal, author and founder of Es Tiempo. • To view/download the brochure, please click this link.